Kids be needing everything these days, and it always happens to be pencils! Especially around test time. 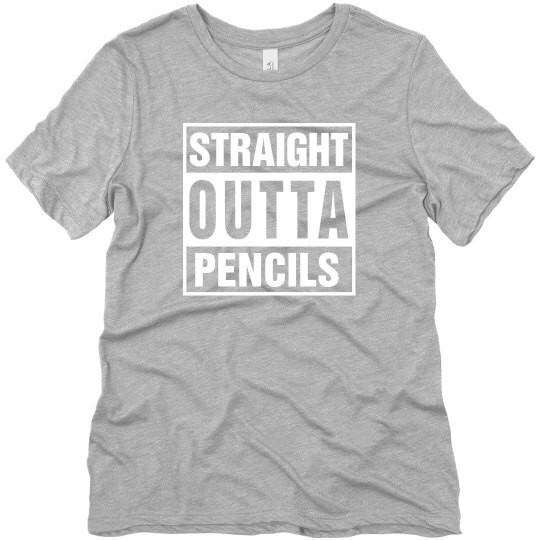 So get a t-shirt that expresses your teacherly struggle with a "Straight Outta Pencils" top. This also makes a great teacher appreciation gift too!